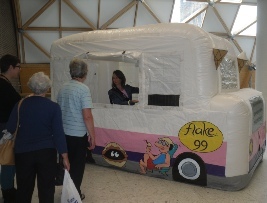 We provide exhibition stand attractions for London, Milton Keynes, Farnbourgh, Birmingham, Coventry, Liverpool, Manchester, Cardiff in fact the whole of the UK. Europe and international venues (Brussels, Paris, Milan, Geneva). 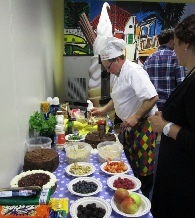 As well as these cool trade show ideas and others; we also provide the service to go with the equipment when required. We strive to achieve a high level of service for all our Customers and their clients by ensuring that the consumables we provide are of the highest quality to ensure you experience the best taste possible, the equipment is delivered on time, set-up, tested and ready for use in a clean and sterile condition before the physical hand over. 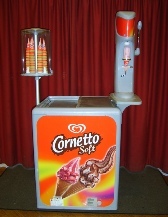 We specialise in Soft Ice Cream Machine Hire. 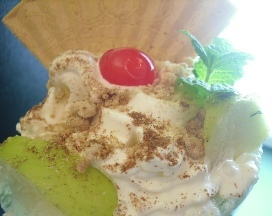 (Mr Whippy soft ice cream machine hire, ‘99’ ice cream hire). 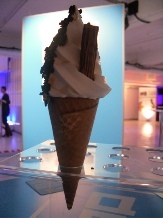 When the ice cream machines are delivered by our trained staff they are set-up and tested to ensure trouble free ice cream making and dispensing during your exhibition, Then a verbal and physical hand-over is given. 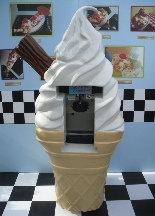 When required these Mr Whippy ice cream machine rentals can be collected by yourselves or your fleet contractor. If the machine is to be used with a product as a promotion, why not have the machine in advance to see if it works with your product, experiment before the exhibition not during! 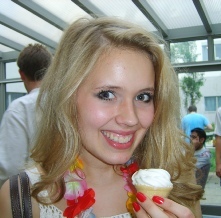 We are happy to advise based on our knowledge. 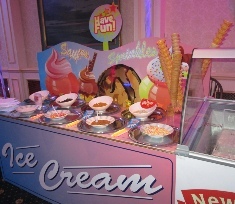 Other products and services we supply include; Old fashion Ice cream bike rental, unique Inflatable ice cream van hire, an ice cream sundae bar with an experience chef, Milkshake bar which can serve flavoured milk shakes, thick shakes and shakes with fruit, sweets, cakes and biscuits added in to the mix (make-a-shake), Frozen yogurt bar with a choice of flavours and toppings, ice cream Props and add-ons to make a greater impact on your trade stand. 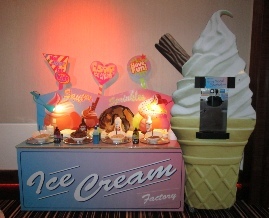 Ice cream freezer hire is available and a great range of high quality ice cream products to go with this service. 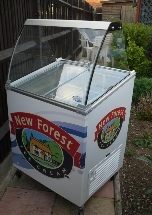 We supply ambient temperature ice cream mix (new Forest) and a range of soft scoop flavours (new forest and Italian). 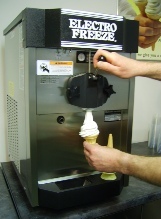 Click here for ice cream information on Products, Performance and Promotional areas on the ice cream machines. All our staff are accommodating and polite, they will assist with your promotion, if you use our attended service, the attendant will serve clients and wear suitable colours or your promotion clothing. The Royal Armouries Museum, Sandown Park Exhibition and Conference Centre, Stoneleigh Park, Telford International Centre, The O2 Arena, The Brighton Centre, Cardiff International Arena. 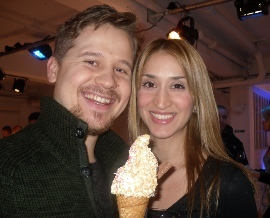 I would like to rent, ice cream machine hire, soft serve ice cream machine hire, ice cream hire, rent an ice cream machine, ice cream machine rental, rent an ice cream cart, mobile ice cream cart, ice cream cart hire, ice cream factory hire, mobile ice cream factory rental, rent an ice cream bar, ice cream parlour rental, mobile milkshake bar, mobile ice cream parlour, mobile ice cream factory hire, ice cream catering.